Will tourism and oil drilling worsen climate change? As climate change melts the northern polar ice cap, it is opening the sparsely populated and ecologically fragile Arctic region to tourism, shipping, industry and expanded development of oil and other natural resources. 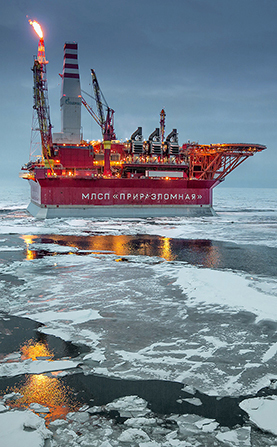 The discovery of a major, new oil field in Alaskan Arctic waters has stoked some residents' hopes that mineral and industrial development could boost the region's economy and provide more jobs. But others say the environmental consequences of further development, including potential oil spills and other damage to the Arctic ecosystem, outweigh any benefits. Rising seas and eroding coastlines, they say, already are forcing some Native Alaskan villages to abandon their traditional lands. And drilling opponents warn that a warming climate — Arctic ice coverage is at a record low and temperatures in November spiked 36 degrees Fahrenheit above normal — is harming wildlife, including seals, walruses and migratory birds. Meanwhile, a Russian military buildup has the United States and other Arctic nations bracing for a possible arms race in the geopolitically strategic region.